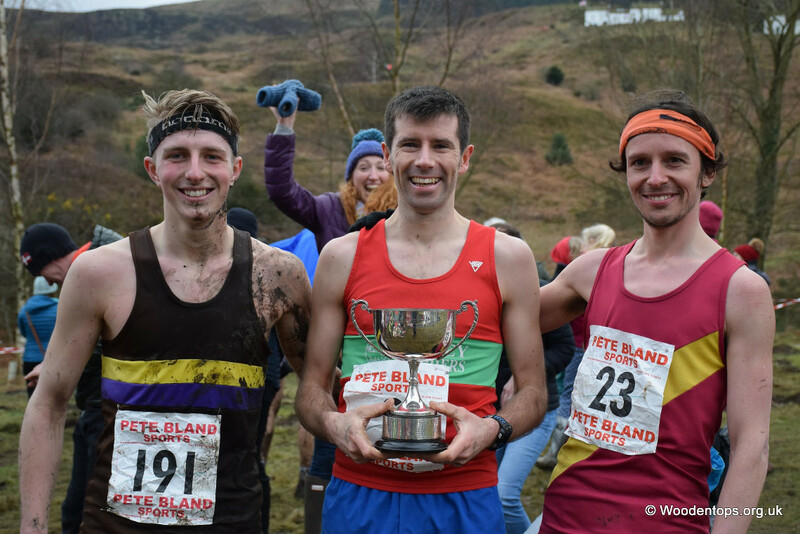 Harrier of the month nominations:	Euan Brennan for his impressive 5k time in the Armagh international and 10th in national XC; Jann Smith and Paul Carmen for commitment to training and completing their first ultra, the tough Transgrancanaria; Tom Adams for 1st place at IMFR and Yorkshire Champion. The winner is Jann Smith and Paul Carmen. The winner is Steve Weston. 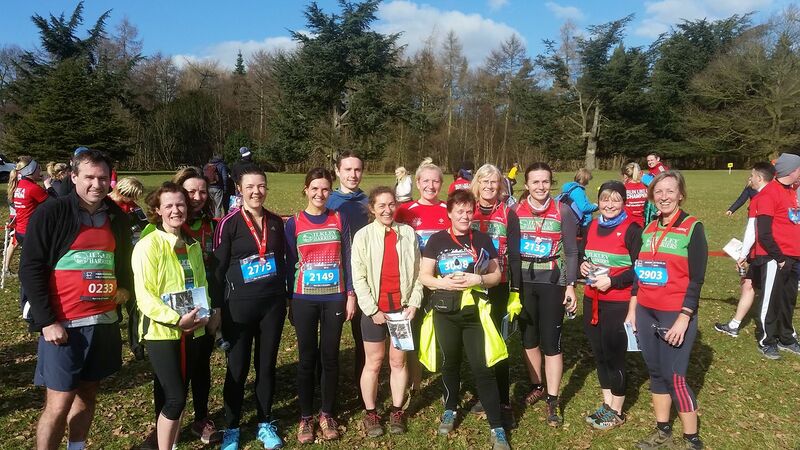 From Caroline Howe... A beautiful day at Harewood House where it was great to see Harriers out in force including several newer members. There were some excellent performances in both distances - Jane McCarthy finishing 3rd female overall and 1st F40 in the half; and Hilda Coulsey 1st F60. Those who did the 10k scored league points in what was the first trail race in the IH league 2018.
from Jann Smith ... 64km/10,000 ft Our first ultra and race abroad. This is a big and well organised event running the length of the island from North to South through all the major mountain ranges and national parks. Very rocky terrain and a strong international field. Results and LOTS of photos on the race page. Tom Adams won the race and the Yorkshire Championship with it. From Steve Weston ... A big thankyou to all the volunteers at helped make the fell race magic happen. Lots of people came up to me and have emailed me to say what a brilliant race it was and how helpful the marshalls were. .....and that doesn't include all the people that helped out at the the fantastic juniors race which was run by Jane McCarthy. From Dave Robson ... Returning from injury I had been too late booking the Ilkley Moor Fell Race so I thought I would give Flower Scar a go instead. Well organised by Todmorden Harriers, this is an 8.3 mile fell race with 660m ascent through some challenging terrain. The initial muddy path gave way to a good tussocky fell section where we disappeared into the mist. Up onto the moor proper, and an unmarked section where the smart line was the direct one. Fortunately I took it due to the runners around me knowing their way through the mist. Then followed an 'alpine' section with conifers, and snow which appeared from nowhere, into a great fast downhill blast by which time my plan to take it 'steadyish' was long gone. A bit more up and down where the muddiest sections had been saved for us and we were back on the downhill path to the finish. In summary then a tough race with a bit of everything. I'm not sure if it is always on the same weekend as Ilkley Moor but definitely one to give a try. From Stephen Brennan ... Euan Brennan finished 148th in 15:22 knocking 24 secs off his PB. The event set a world record with 91 runners under 15 minutes. From Colin Williams ... I ran my first marathon of 2018 on Sunday, the Bolton Abbey trail marathon. The route was changed twice before the event from three laps of 8.8m to six laps of 4.4m, but then thankfully back to three 8.8m laps. The ankle deep mud and slippery uphill sections sapped the strength out of my legs in places, but I was pleased to finish in a fairly respectable time for me. From Petra Bijsterveld ... My 5th Dewsbury 10K in as many years, its PB potential keeps me in its grip. Straight out and back with 115 feet of gradual elevation to climb in the first half, the downhill return is physically and mentally encouraging you towards the finish. Always well organized, last year's race had been rather spoilt by the extra 200 meters we had to run due to the turn having been placed too far up, which ruined a rare chance for me to go sub 50 minutes. I had not done enough running recently to feel that today was going to be my moment, and stood at the start not expecting too much. Conditions were absolutely perfect, cold but dry, no wind, and even a little ray of sunshine appeared. I reached the turn in 25:44 and managed to speed up a bit to finish in 50:28, which pleasingly is a PB. I could not have given any more this morning, but hopefully one day soon I can lose another 30 seconds! New member Emma Cole and I were the only Harriers there today, regrettably we did not spot each other. Whilst 1200+ runners gave it their all, my attention was drawn to Ismail Patel, the last man to finish in 1 hour and 40 minutes. I had encountered him already on the stairs in Race HQ, a young Asian man with a stick who looked to me like he had suffered a severe stroke. I saw him again on the course as I was on the return leg and he was making his way up the road with the sweeper car behind him, it made me feel quite emotional to see his effort. I googled him and found his story here. A true local hero! From Ben Sheppard ... Good to see Dan Wilkinson back running again at Rombald's Stride after an extended period of playing out on his bike. He was looking very comfortable when he passed me at Weecher Reservoir but the stabilisers had somewhat fallen off by Menston. Michael Lomas continued his upward trajectory and looks sure to have another good season at this rate. Great running as ever from Jane McCarthy, joint first lady. Martin Stocker got a 20 minute PB. I guess short distance specialist Martin Archer must have really wanted a long chat with the missus as he and Kate ran the whole way together (and they were still on speaking terms afterwards). And there were a host of other good runs from Harriers throughout the field, enjoying or enduring the mud, bogs and snow.